From the town square, proceed south of town on 144. 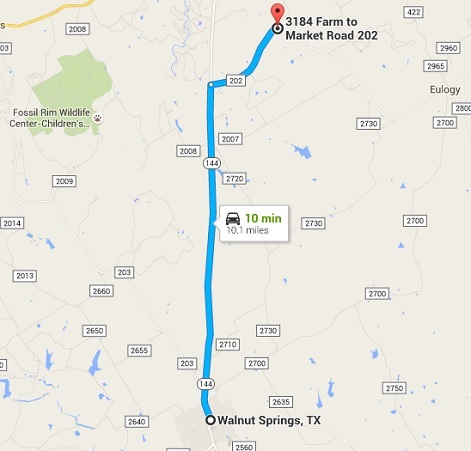 Just past David’s grocery, veer left onto FM 56 toward Eulogy. Continue on FM 56 until 56 turns off to the left and stay straight on FM 202. Cornerstone Christian Fellowship is on the left. 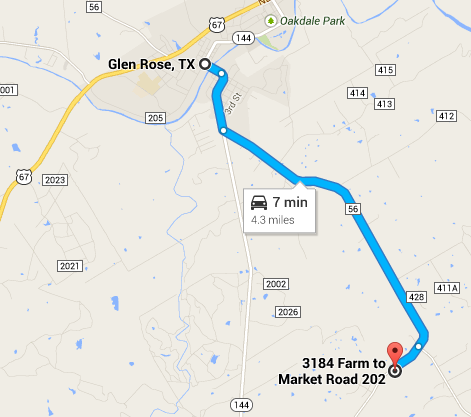 Head north on Hwy 144 toward Glen Rose, turn right on FM 202. The church is on the right.